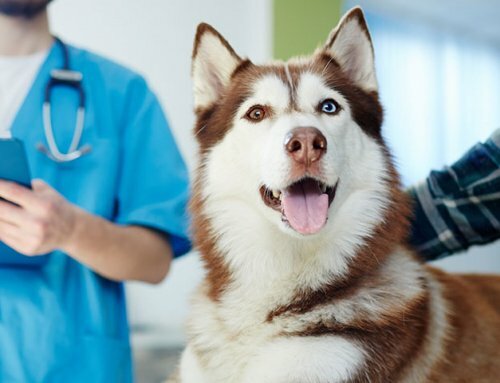 What’s the Normal Blood Glucose Range for Pets? This week one of our readers asked me what the normal blood glucose range is for dogs and cats. One of her vets told her it was up to 170 mg/dl for cats. I agree! 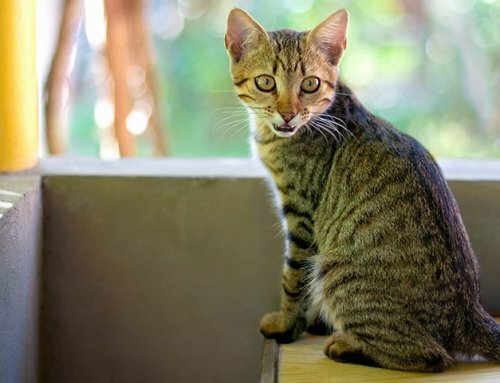 It can be that high if taken in a clinic environment where a cat may feels stress. Evaluations in a pet’s blood glucose do reflect the environment and stress level of the pet. Imagine that you were a cat. You were purr-fectly happy sunning yourself on the back of the couch in the family room by the big window. Ah, that’s the life. Suddenly, and without warning, your human nabs you and shoves you (despite your best Houdini-like efforts) into a box and puts you in the car. Oh how you hate going in cars! The car ride ends and you pray your human has come to her senses but no… You have arrived at the vet clinic and there are yapping dogs in the lobby. Even a non-diabetic cat could have a blood glucose level of 170 or more after such a harrowing experience. I’m not kidding. I live one mile from my own veterinary hospital and when I take my cats to work for a dental check or something else that I can’t do at home they scream in their carriers as if someone was beating them with a stick. This phenomenon is called “stress hyperglycemia”. It’s not unique to cats. I once saw a Chihuahua present to the ER with a blood glucose level in the 300s from stress hyperglycemia. This is all part of the fight or flight response. How does stress hyperglycemia occur? Remember learning about the fight or flight response back in high school? It’s that same thing. In a stressful situation you release adrenaline (a.k.a. epinephrine), which can cause the liver to produce more glucose to help you get away from the adversity. Cats are specialists in stress hyperglycemia. In my hospital I use in house blood machines and also send blood to an outside reference laboratory when I need a blood profile. The “normal range” for the parameters we measure (such as kidney values, liver values, electrolytes and such) are different for each type of machine. I typically place more confidence in outside reference labs over in house machines, because their “quality control” is very tight. I run in-house labs when I need answers ASAP when a pet is ill or if I’m suddenly needing to anesthetize a pet that we hadn’t planned for ahead of time. For my outside reference lab (a big national lab), the blood glucose range for cats is 64 to 170. And for dogs it is 70 to 138. My in house chemistry analyzer lists a normal range of 70 to 150 for cats and 60 to 110 for dogs. It’s all statistics. They test a bunch of “normal” pets to determine a normal range with that chemistry analyzer. Ranges for various machines are in the same ballpark – but not exactly the same exact numbers. 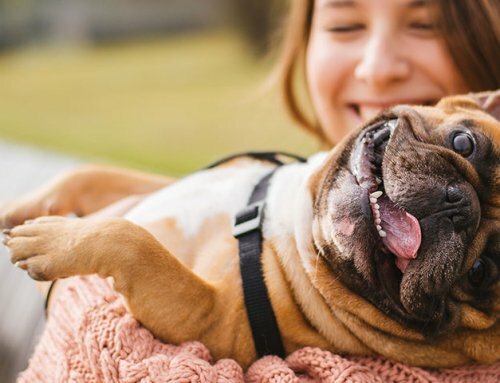 Now, if we are trying to fine tune a pet’s insulin dose to get the best glucose regulation, and therefore the best quality of life for your sweetie, doesn’t it make sense to avoid factors that can cause stress hyperglycemia? You bet! This is why I’m such a huge proponent of home glucose testing. Additionally, it saves families lots of money compared to having glucose tests run at the clinic, where stress hyperglycemia can affect accuracy. I monitor my pets glucose at home, definitely much easier and less stressful. I was wondering what the normal range should be. Thanks for the article. my dog will bite me before he will allow me to take his blood from a foot, leg or his gums. and I could not get any blood from his ear when I pricked it. Any thoughts on this? Donna, I don’t want you to get injured! It sounds like he is less sensitive to attempts from his ears than elsewhere??? Tricks to getting a sample include warming the area first to cause vessels to dilate (so you get a better droplet of blood). I suggest using a sock filled with uncooked rice or beans. Pop that into the microwave to warm it then holding the warm filled sock next to the ear before using the lancet. This may dramatically improve the yield of blood. Also, ask your vet to clip away the fur over the marginal ear vein to prevent the fur from wicking away the blood drop. You can also ask your vet or one of the hospital nurses to show you. A picture is worth a thousand words. Finally, some glucose meters need more blood that others to get a result. I’m a high fan of the alphatrak 2 meter which takes a measely 0.3 microliter of blood to yield a result. Don’t give up, but don’t get bitten! You can also find soft cloth muzzles for your safety or if needed ask your vet to run the glucose curves. I’m a fan of home monitoring, but I sure don’t want you to be hurt. It’s a pity that the Thindershirt didn’t help… I’ve had a few pets respond really well to it. You might ask your vet about a prescription of alprazolam for the grooming appointments. I’m glad you are heading to a specialist for advanced diagnostics. Let’s hope the internist gets your sweetie back into good regulation. Keep us posted! My vet said normal glucose was between 100-200 for my diabetic cat. BTW – I love your reading your posts. They are most informative. Your articles are always great. I have an 8 year old diabetic kitty that is currently in remission. We test him now twice a week and his numbers are right in range. Our vet stated that remission usually lasts a year. My question is can a kitty in remission stay in remission the rest of his life? I always do my testing right before I feed my dog. Now he sits and waits for me to take his blood!!! I do the under the lip. I used to do the ear, but it leaves too much scaring! I check my pet’s glucose at home, and give her insulin shots twice a day. But her readings were always high. My vet changed the insulin to Vetsulin insulin and it did help a lot, it cut down to half. But still her reading are so high (ranges between 250-600). Especially after she eats. pancreatitis. She also had an epilepsy and taking Kbr 2 times a day. My Vet also recommended giving her Pepcid ac once a day and she’s taking Tylan powder. Any advice as to why her readings are so high? Thanks. Sorry for the long delay…..yes and NO dry food for this age was recommended; they’re all 16 years old. Thanks Doc! thx for the article ! What is a good range level for a diabetic dog to be kept at ? In an ideal world we would have the blood glucose in the normal range all day! And yet, what is a more realistic goal for dogs is having most of the numbers under 300 mg/dL and to have have the nadir somewhere around 100 mg/dL. The threshold in the kidneys for blood glucose is somewhere around 250 to 300 mg/dlin dogs and cats. If we keep the blood glucose is below 300 mg/dL most of the day, pets won’t be excessively drinking and peeing all day and the quality of life is improved! So then are you saying a normal range for cats without diabetes is a BG level between 64 – 170 daily? A cat without diabetes after eating would they still stay in that range or what is acceptable for a cat to raise after eating breakfast or dinner? I ask because our cat was recently diagnosed with diabetes an we started her on 2.2 units of Prozinc. With that dose, she would drop down to the 30s BG using the Alpha Trak 2 meter we purchased through your site. We now give 1 unit of insulin and her numbers are between 120-140 throughout the afternoon. When we test 12 hours later, she is around 191. Yesterday morning her BG was 138 so we didn’t give a shot at all and when we tested before dinner at 5PM (12 hours later) she was at 199. I’m trying to figure out normal range for cat without diabetes to figure out if maybe she’s in remission? How would I know? Matt, you are doing a good job with your kitty’s glucose regulation. Now, as far as the 170 mg/dL is concerned, that is likely the laboratory’s upper limit of normal because that is blood pulled in a vet clinic and probably includes stress hyperglycemia. You are doing well to check a blood glucose before each injection with the beautiful numbers you report. Skip a dose if the glucose is normal or nearly so, or give a smaller dose if it is just slightly increased. These are things you can discuss with the vet who has examined your cat. Work out a plan! You might be skipping a dose, you might give a dose, or you might give a fraction of a dose. If she does indeed go into remission, be sure to keep her on the canned low carb diet forever. I’ve had more than one cat come out of remission when the family forgot and started feeding kibble again. My cat Lynx (age 6) was recently diagnosed a few months ago. Throughout the last few months we had to increase his insulin from 1 unit twice a day to 5 units twice a day. After six hours he was at 186 mg/dl. My mom did give him a protein treat I think within the last hour that I tested. What should it be ideally after six hours of insulin. He’s also really hungry, all the time. I’ve been checking his food dosage for his weight and split that in two between his meals. First of all, is he on canned food only? Low carb diets will not only improve your kitty’s blood glucose levels but likely also lower his ins7l8m requirement. Next, do you do blood glucose curves? A curve means checking the blood glucose every 2 hours from one insulin injection until the next, 12 hours later. Now, if the blood glucose drops below 150 mg/dL, do test hourly until it starts to rise again. This way we don’t miss where the glucose bottoms out. We want it to bottom out somewhere around 100 mg/dL. Where it bottoms out tells us if we should increase the dose, decrease the dose, or leave it where it is. A curve also tells us how long the insulin lasts in a pet. When you increased the dose from one to five units, did you do so grepadually, doing a curve about a week after each increase? If you increase the dose too quickly you May bypass the proper dosage for your pet and it will be hard to find regulation. I’m hoping you worked with your vet as you altered the dosage. Which insulin are you using? Cats tend to do best with a longer acting insulin such as glargine (my fave for cats) or pzi or levemir. My 14 year old cat has been diabetic for three years. I give him 31/2 units pro zinc insulin twice a day. He recently had a blood test where his glucose was 52. The vet reduced his insulin to 3 units. But now the blood test indicates that he has stage two kidney disease. His sdma was 15; creatinine 2.7 and bun 39. I’m uncertain how to manage both of these diseases. He is 21 lbs and is eating and drinking normally. I’m looking for advice on food etc. is it possible that he might be in remission with the diabetes. Diabetic remission is possible after a few years, but it is more common early after the diagnosis. If you change a pet from dry kibble to canned only food you have a much higher chance of remission. As his blood glucose was 52 he could be going into remission, but it may just be that 4 units was too much. I find most cats need one or 2 units provided they are on a canned low carb diet. 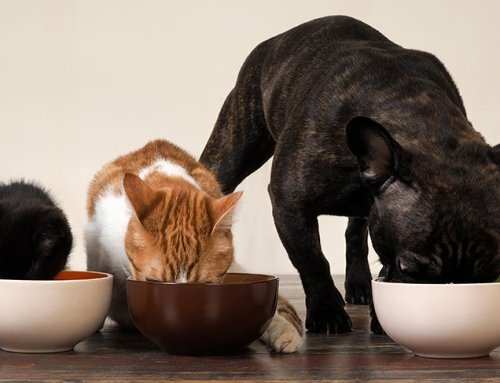 Now, when a pet also has kidney disease I recommend a renal diet. For cats I’d recommend a canned only diet as the canned food is lower in carbs than dry food. You can find a cat food composition chart on the Internet. Simply Google cat food composition chart. 21 lbs is hefty for cats, unless he has a huge frame. I’d really like you to get a bit of weight off of him. Easier said than done, right? Love the site! I just got back from the vet with my diabetic cat. He has had some hydration issues stemming from his diabetes that I corrected using sub fluids for a few days prior to today and when they did a GC it came back at 51 3.5 hours after his 2 unit shot and eating 2 cans of his low carb canned food. The doctor said that it seemed low but recommended staying at 2 units. I’m a little confused by that. Since you wrote that a good range starts at 64, would a GL of 51 be dangerous to him? A blood glucose of 51 is indeed too low. 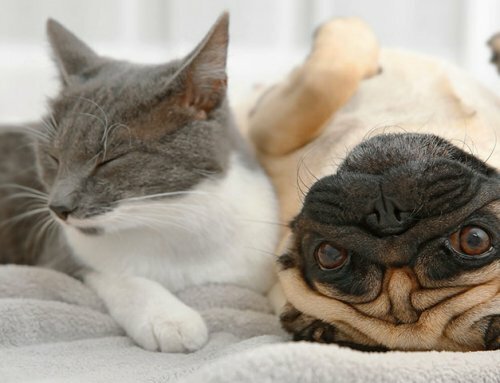 Pets may be disoriented or weak at that level. The most common sign of low blood glucose in that range is nothing at all. He may just take a nap. If the blood glucose gets a bit lower at 20 or 30 he could seizure. Chat with your vet about backing off the dose a bit, or even adjusting the dosage based on his blood glucose at the time of the meal. Now, why don’t you try doing blood glucose curves at home? 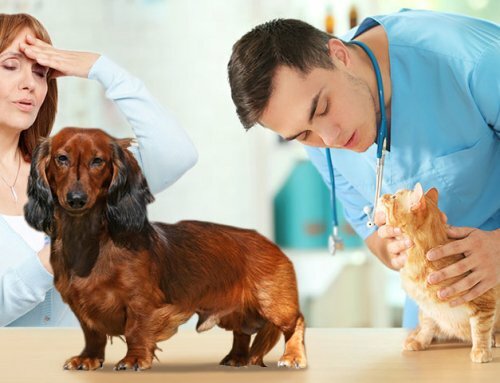 They are more accurate at home as you take out stress hyperglycemia that is a common issue at vet clinic curves. We have several articles on how to check a curve at home on our website. I’m glad you are feeding him canned food! Good job! Dry food makes it much harder to get the diabetes under regulation and very difficult to the a cat’s diabetes in remission. Thank you Dr. Sutton for your answer about the glucose meter. I won’t be able to use the meter now. I will explain. (2) Stress could have played a factor in the increased glucose, but that would be speculation if it was not confirmed by testing again to make sure. I wasn’t asked if my dog was having any symptoms because they never told me about the lab work. His urine was flagged with some protein, and his salt/potassium was slightly raised, also flagged by lab. (3) I should have been consulted about the lab results prior to the procedure so I could check into the cause and have an option of using a glucose meter as peace of mind to make sure he was okay for the cleaning. I didn’t get that chance. No one told me anything and they cleared him. The notes do not indicate flagged results. They say OK for dental. With all the time that passed in between the lab and procedure, I don’t even know now if that was a warning sign and if he could have been getting an infection of some kind, or something else. (4) The bottom line is my dog passed away there. He went in healthy, happy, energetic, and came back in a plastic bag. As far as I know he was healthy, never any sick vet visits, he was only 6. Now I question whether the elevated glucose, sodium and urine protein were warnings that were ignored and why they were not mentioned to me, even as a precaution. I would certainly have postponed or canceled the dental so I could get him checked and make him better if that were the case. Now my dog is gone. I never got an explanation, no details about what happened. There is nothing in the notes indicating the steps taken from start to finish. There is no anesthesia record, no vitals recorded. Basically nothing. Everything has been a secret with them ever since. I don’t know if recovery was the problem, if he was not being watched. It looks like the standard of care was not done, the appropriate actions to keep him breathing and alive were not done. They didn’t do everything possible to keep him alive. They broke the oath of keeping my dog safe. Again, I will never know if his elevated glucose was from stress or was it something that was getting worse as time went on since there was such a lag between the test and procedure. As a pet parent I had a right to know if anything on that report was not within range. They had a responsibility to advise me. I only found out about the lab results on my own 2 weeks ago when I was looking through the papers. I couldn’t believe what I was reading. My young dog is gone. This happened on Xmas Eve so you can imagine my holiday never existed. I wasn’t able to get a necropsy because of the holiday and I had no place to get it done. I am beyond devastated. Anything you can tell me from what you make of this would be helpful. Thanks.